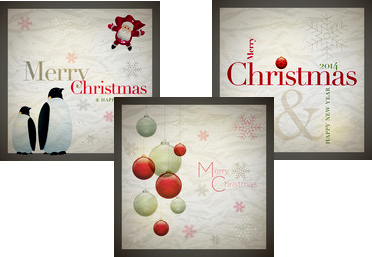 Festival greeting card including Christmas day, Easter and other type of greeting card. 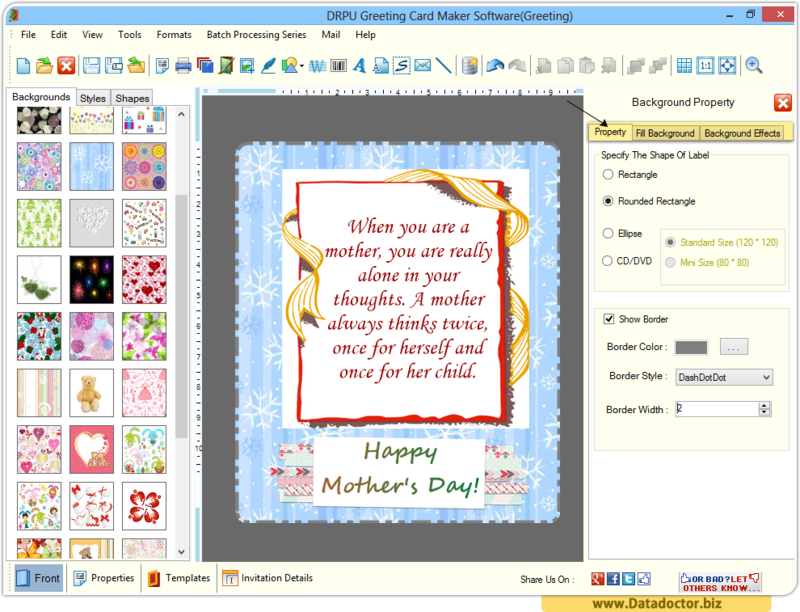 Here you can see Happy Mother's day greeting card designed by DRPU Greeting card Maker Software. 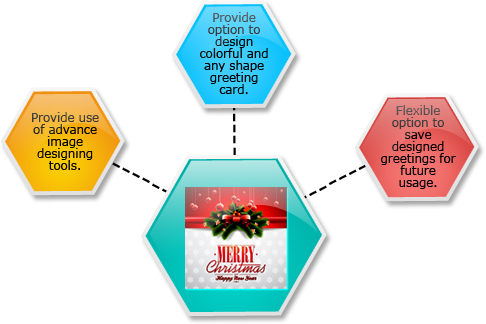 How to Design Greeting card for your loved ones? 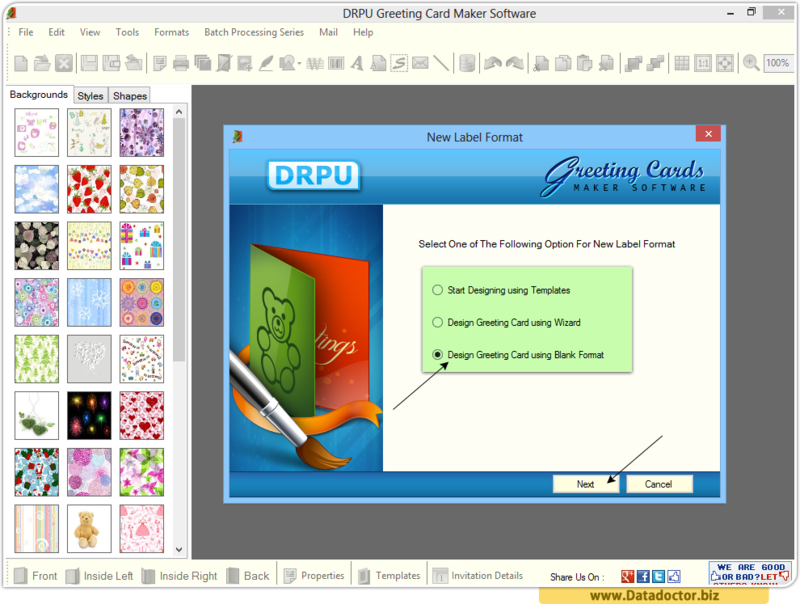 Start Designing Greeting Card using Blank Format option and click on Next button. 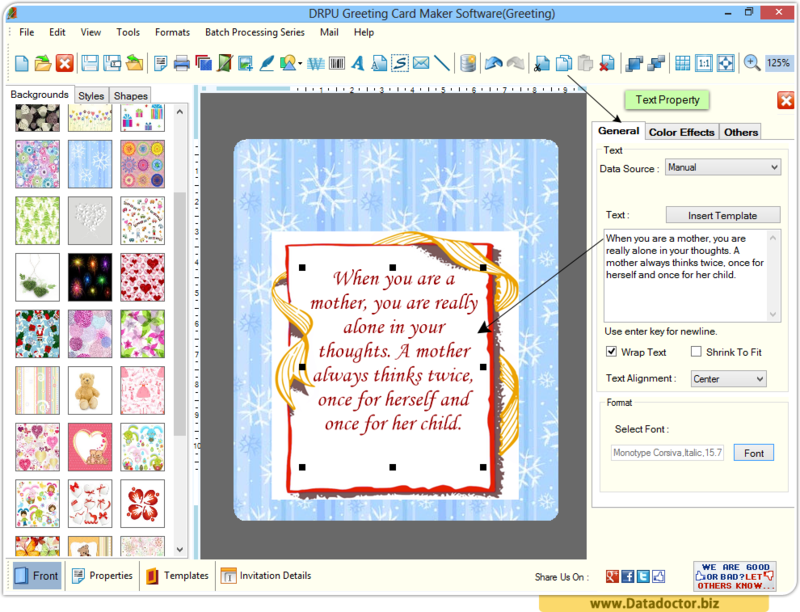 In above screen, specify Label name, size, and shape and fold type and click on finish button. 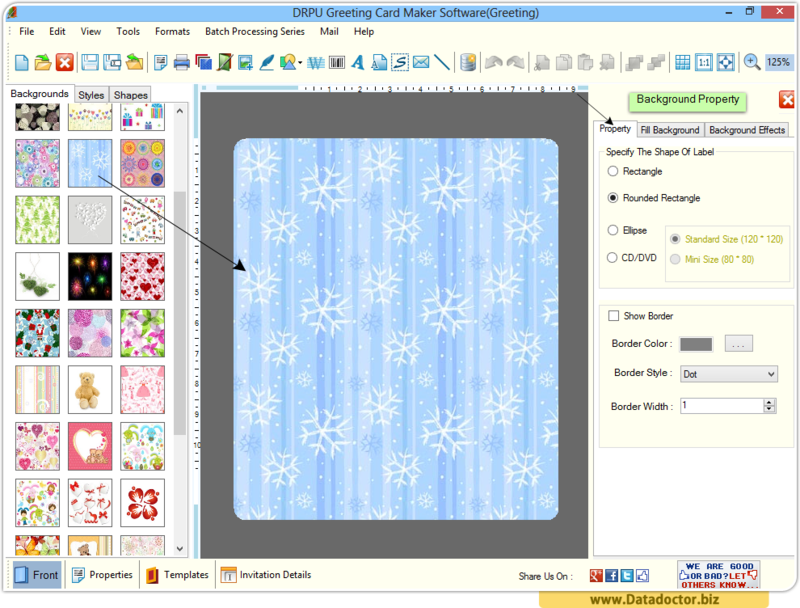 From left panel settings choose your require background image. 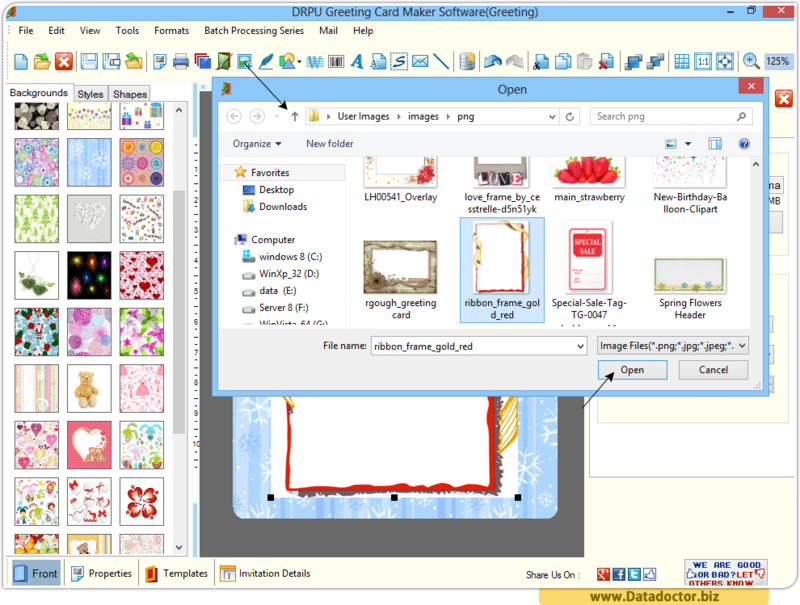 In this step, you can choose your desired images from your personal computer. Add text on your greeting card using text properties shown in right panel. 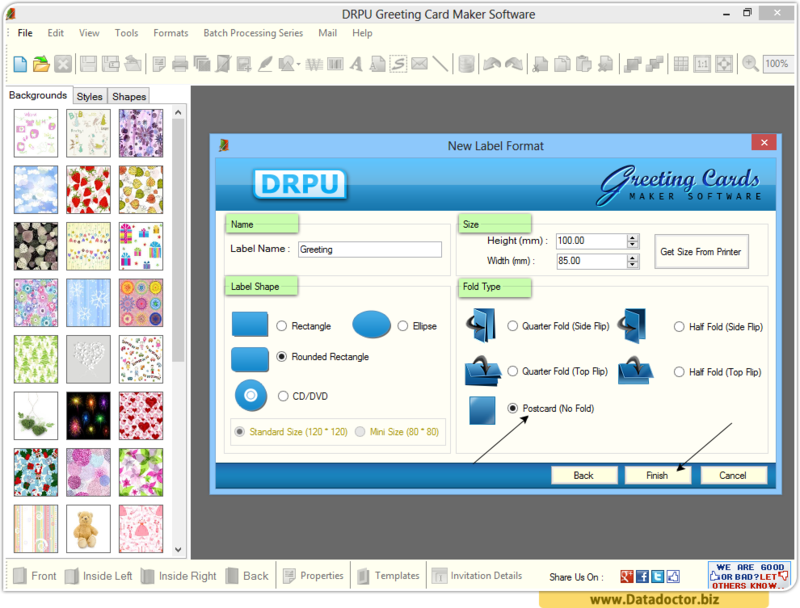 Now finally you can see your designed greeting card's front view.